Dust pollution is one of the greatest problems in drywall sanding. That is why MENZER came up with AV technology. An integrated dust bag system removes dust immediately and effectively at the source – without any need for an additional industrial vacuum cleaner. 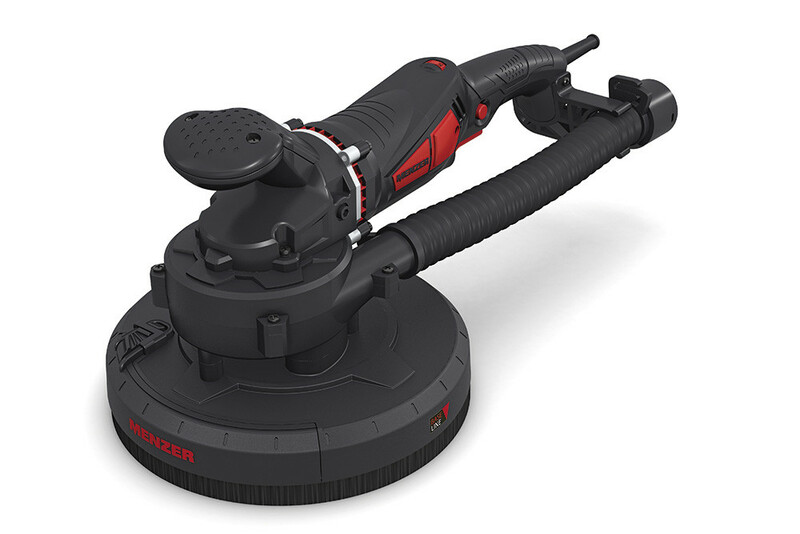 The MENZER TBS 225 AV drywall sander comes complete with an M-certified dust bag. Our MENZER TBS 225 AV is extremely easy to handle – and not just because of its compact size. The slimline, ergonomic handle makes it an easy to operate tool. The soft, non-slip plastic ensures an optimised grip. The removable nose section of the MENZER TBS 225 AV ensures effortless processing of edges and difficult transition areas. You will achieve faster work progress when sanding walls and ceilings.